Steve brings over 17 years of experience working for human service organizations in Indianapolis with extensive experience brokering, coordinating, and ensuring quality services for individuals with disabilities and their families. His work has included case management services, facilitating programs that fostered transitions from high school to work for students, strategic planning, and program evaluations. Steve is managing the business development for the organization and strives to promote both the value and image of Tangram. He also directs and manages the property and assets of the organization. Additionally, Steve exemplifies all of the qualities of a highly effective life coach, another service he currently provides for Tangram. He is a good listener, demonstrates consistent and persistent follow-through, has outstanding interpersonal skills, and has an outstanding network of colleagues. 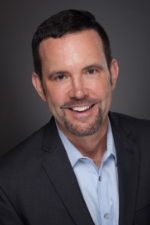 Another valued asset to his life coaching services is that he is a life-long central Indiana resident who is well connected to his community. Steve is a graduate of Butler University, where he received a Bachelor of Arts in Public and Corporate Communication.